It's time for the biggest sale of the year. 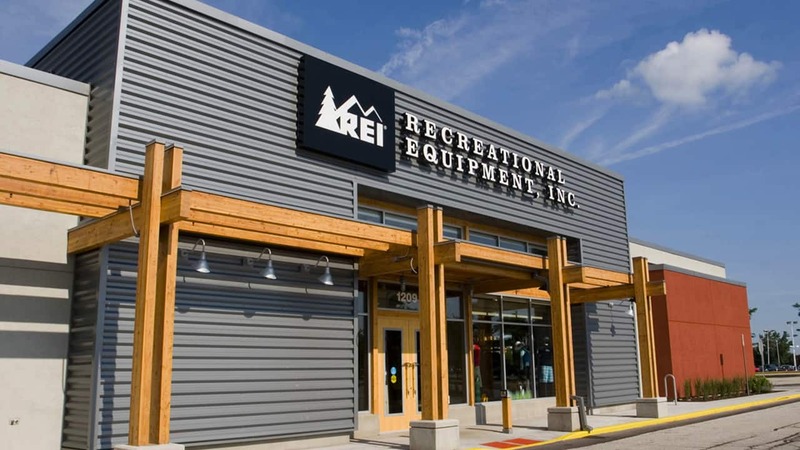 UPDATE: The 2019 REI Anniversary Sale is almost here. The outdoor retailer celebrated a big hallmark in 2018 (the store's 80th anniversary), there's no reason to believe this year's sale will be anything less than impressive. The sale usually lasts for about 10 days in mid-May, with start dates ranging from the 15th to the 20th. Check out the article below for the best deals from last year's sale, and keep an eye out for a preview flyer in the mail. The REI anniversary sale is right around the corner, and the popular outdoor store just released a 24-page preview of the upcoming event. We're taking a look at some of the best deals you'll find at REI's biggest sale of the year and sharing how to put your REI coupons to good use. The 2018 REI anniversary sale kicks off May 18 and runs through May 28. It takes place both in-store and online, and features exclusive discounts, as well as 20% off coupons for both REI and REI Outlet (formerly "REI Garage"). Check your mail for the sale flyer, or browse the digital version of the flyer here. REI members will receive free shipping on orders of $50 or more, and this year's REI sale also includes free same-day pickup. According to Slickdealer silvery79 (and the OP for this year's REI sale thread), the online deals usually go live at 12:01 a.m. PT. In order to use the coupon offers for the REI sale, you'll need to either have a valid REI membership or purchase one prior to or during the event. A lifetime membership costs $20, which isn't much considering the savings you'll get from the deals in this sale. Non-members can still take advantage of sale prices, but not the 20% off coupon codes. REI Co-op members will receive 20% off one full-price item in-store or online AND an extra 20% off one REI Outlet item online only when they enter their membership number and use coupon code ANNIV18 at checkout. You can also purchase a membership with your order (in which case, you won't need to enter your membership number). The 20% off discount will be applied to the highest full-price item and the highest-price REI Outlet item in your cart. If there's no REI convenient to you or you just don't want to shell out for a membership, you have some options. Slickdealer Icyj says, "Most other outdoor retailers will match the 20%" and recommends picking "the one without tax and with highest $$$ back for yourself. BackCountry, Moosejaw, etc." Slickdealer dsbender confirmed this, adding "I just price matched a product at Backcountry.com and told them about the upcoming 20% coupon at REI. They agreed to the 20% off - no tax - free shipping." Additionally, Silvery79 added, "Amazon tends to drop their prices to match what the REI price will be after the coupon." Just remember that merchandise purchased using this offer is excluded from the REI member annual dividend, and the coupon can't be combined with any other discount or promotion. Offer not valid on prior purchases, used gear, special orders, package discounts, REI gift cards, REI e-gift cards, memberships, shop services or rentals, passes and tickets. Make a $100+ purchase at REI. Buy a $20 lifetime membership. Use coupon code JOINREI at checkout now through May 17 to snag a $20 bonus. New REI email subscribers will also receive a coupon for 15% off one full-price REI brand or Novara item (not including bikes). Plus, you'll stay up-to-date on the latest products, new offers, and store events. Sign up here. As an REI Co-op member, you'll get lifetime access to exclusive perks, including 10% back on eligible full-price purchases in an annual dividend. Members also gain access to special offers and sales, as well as discounts on classes, events, rentals, and bike and ski shop services. This year's anniversary sale once again includes price breaks on Patagonia jackets, Thule racks, Joule and Igneo sleeping bags, Osprey daypacks, and REI-brand tents, sleeping pads, and trail packs. According to Slickdealer jer-ber, "Their sales are usually a good resource for Thule roof boxes. Just my .02." A lot of our forum users agreed. The Garmin inReach Explorer Plus is a decent deal at $375, but we just saw the Garmin Fenix 5 GPS Watch go for only $387 earlier this month with the 15% off eBay coupon (which beats REI's lowest price of $450). We've also seen the store's $120 Osprey backpacks sell for $90 to $100 on Amazon and eBags, while stores like 6PM and Gander Outdoors have competitive prices on Keen footwear and Vasque hiking boots. Right now, Mountain Steals has several of the same clothing and footwear brands on sale for up to 50% off. Plus, you can take an extra 20% off one clearance item. Finally, REI is offering a limited-time bonus to new credit card applicants. Just apply for the REI Co-op Mastercard, and you'll receive a $100 REI gift card when you make any purchase within 60 days of your approval. The credit card has no annual fee, and it offers special incentives like 5% back at REI and 1% back on everyday purchases on top of your REI member dividend (which is typically 10% on your eligible REI purchases). In addition, REI will make a donation to the National Forest Foundation every time you make a purchase with your card. What will you buy during REI's biggest sale of the year? Let us know which deals you're eyeing in the comments section below!